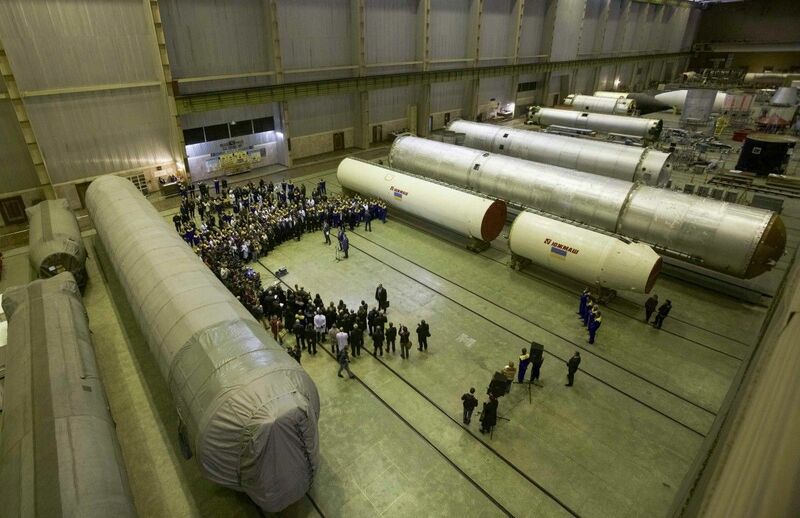 Head of the Information Policy Department of the Presidential Administration Volodymyr Horkovenko considers provocation the data in the article of The New York Times about the alleged involvement of the Ukrainian Yuzhmash plant in the successful launch of DPRK missiles. Horkovenko has compared the media reports that North Korean intercontinental missiles supposedly have Ukrainian components with a scandal related to the alleged supply of Kolchuga automated intelligence stations to Iraq in 2002. "Now seriously. How can you quietly and imperceptibly deliver a huge engine for an intercontinental ballistic missile to the DPRK, moreover, bought on the black market? Let's imagine a market, something like a 'flea market.' The DPRK Defense Minister is approaching a seller and says: 'Give me some of these engines, please.' By the way, the Siemens engines have left so many 'tracks' behind. Even a camel or a cow purchased on the black market leave traces. And here, rockets for intercontinental ballistic missiles," he wrote on Facebook. Read alsoReport on Ukrainian missile technology transfer to N.Korea based on statements by expert with Russia ties – Ministry of InformationIn addition, the representative of the presidential administration said that the ballistic missile engines were not a dual-use product. "That is, if the engine is made for a combat intercontinental missile, it cannot bring a satellite into the orbit. Even the wheels, which are all round, are not suitable for every car," he added. "The story with the engines from Yuzhmash resembles a provocation such as the sale of the Kolchuga radar system by former Ukrainian President Leonid Kuchma. It was widely discussed before, but there are still no facts," Horkovenko said. As UNIAN reported earlier, The New York Times has posted an article claiming North Korea’s success in their tests of an intercontinental ballistic missile, allegedly able probably to reach the United States, was possible thanks to the purchase of powerful engines on the black market, likely originating from the Ukrainian-based plant. In turn, Secretary of the National Security and Defense Council of Ukraine Oleksandr Turchynov said that the Ukrainian defense industry had not supplied rocket engines and missile technology to the North Korean regime. The state-owned Yuzhmash has stated that it has never had any links with North Korean space or defense-purpose missile programs.